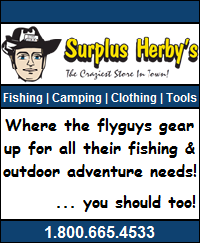 * a big thanks to Brian for allowing us to share his invaluable still water ice out tactics & strategies on flyguys.net! It’s a spring ritual observing Canada Geese defending mating territories and watching grown men in small aluminum boats trying to break up ice on an interior lake. 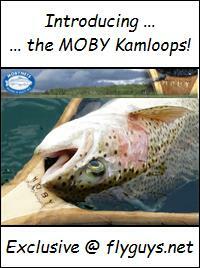 Yes, spring is in the air and these anglers are jumping the gun a little but with good reason. They know the incredible fishing that can occur during the first few days after the ice has left or is leaving a lake. In order to understand why fishing can be so good we have to step back and understand the changes that have occurred under the ice during the long winter season. Most small interior lakes are covered with ice and snow for between 5 and 6 months. During this period there is little if any replenishment of oxygen. Green plants die-off and decompose due to the lack of sunlight and photosynthesis. This composting of plant matter also utilizes oxygen. As winter progresses the amount of available oxygen decreases. By late winter the highest concentrations of oxygen are often confined to a band of water that is sitting immediately below the ice. This zone of well oxygenated water may be as narrow as 5 to 10 feet deep. Below this zone oxygen levels may not be sufficient to support fish live. As the ice leaves a lake this stratified layer of well oxygenated water remains in place. 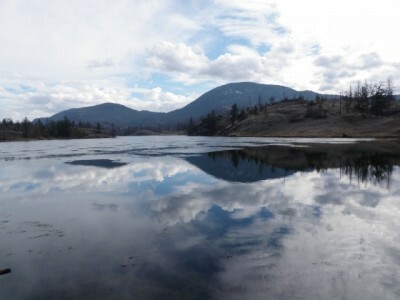 The lake will not de-stratify or mix until the water temperature of the lake becomes similar. A strong wind will then mix the entire water column resulting in a process called turnover. It usually takes 7 to 14 days for lake temperatures to equalize and initiate the turnover process. 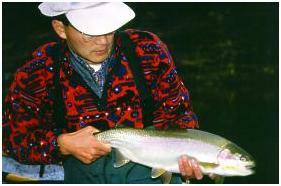 Trout are therefore confined in these shallow water zones until turnover begins. Fishing action can be fast and furious during this ice-off period. The shallow water areas of the lake begin to warm under the early spring sun and trout become aggressive feeders. In some instances trout will literally attach anything that is cast into the water but in most instances they are looking for more familiar food items. Water boatmen are very active at ice-off and are a favored food item. 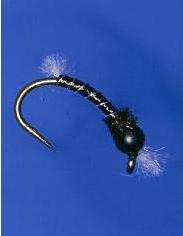 Watch for them diving into the water, followed by big boils of trout as they intercept the swimming insect. Other good ice-off fly patterns to try are chironomid larvae and pupae , leeches and shrimp . Chironomid larval patterns are always a good bet early in the season even though the water may be too cold for any chironomid hatches to occur. The larvae over-winter in the mud at the bottom of the lake and get active as the water starts to warm. Chironomid larvae are often a reddish/maroon colour and are known as bloodworms. Make sure these flies are fished dead slow and as close to the bottom of the shoal as possible. Normally, the first chironomid hatches to occur are those very small species i.e. #18’s and #20’s. In most cases it is not necessary to fish pupa that tiny but try at least patterns tied on #14 and #16’s. Leeches and shrimp are standard trout food fare at all times of the year so are good bets for ice-off. Bead-headed leech patterns offer a nice undulating motion through the water and are often the ticket to getting early spring trout. Shrimp patterns tied out of plastic chenille or other flashy synthetic materials seem to work better at this time of the year. It is often that little extra flash or movement that will trigger a strike. Slightly faster retrieves are sometimes more productive with these brighter or bead-headed patterns. Floating and intermediate sinking fly lines work best for covering the shallow shoal zone where these fish are concentrated. While there is minimal aquatic insect activity occurring, early spring fish will show themselves by jumping, surging through the water or dimpling at the surface film. This non-feeding behavior will at least locate active fish. Ice-off fishing often sees two or three short feeding periods spread over the entire day. Some of the most intense movement occurs late in the day and just prior to last light. The message here is to be patient and be prepared to fish until dark. Ice-out fly fishing can be a great way to begin the stillwater season. It is a relatively short phenomena that ends with the onset of turnover. A lake in turnover will not fish well for at least 7 to 10 days. 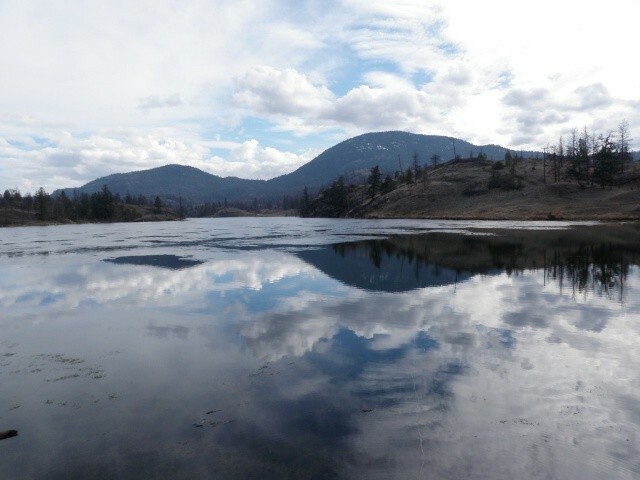 This major mixing event changes the water chemistry of the lake to the point where fish may become quite stressed and stop feeding until the water quality improves. The sure sign of a lake in turn is very murky water with large amounts of plant material and bottom debris floating in the water column. If presented with this problem select another lake either much higher in elevation that has not yet mixed or go lower to a lake that has already completed turnover. 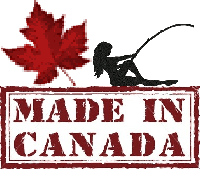 This entry was posted in Still Water Fly Fishing and tagged BC interior fishing strategies, Brian Chan, fall fly fishing, fly fishing ice out, ice off, ice off fishing, ice out, ice out fishing, ice out fishing tacticts, Spring Fly Fishing. Bookmark the permalink. I don’t think it’s the site Kieran as no one else has mentioned it and it works fine for me. Perhaps try it on a different browser / computer and let me know.